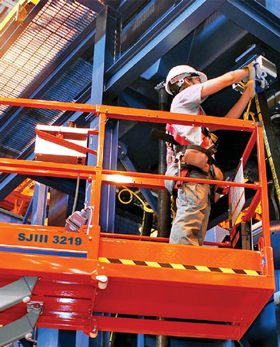 The Skyjack SJ3219 Scissor Lift is a low level access platform that is a safer alternative to using aluminium towers and steps. 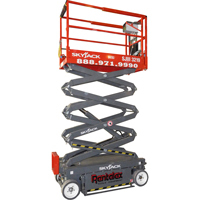 Non-marking tyres and mobility make the Skyjack SJ3219 Scissor Lift perfect for low level, safe working at height, indoors. The Skyjack SJ3219 Scissor Lift has a single deck, a narrow isle and a working height of 7.8m making it ideal for working in confined spaces. It is best used for office fitting out, retail (including fitting out and general up grading of store such as hanging point of sale), mechanical engineering, joinery, facilities management, electrical contracting, cleaning, plumbing, warehousing and decorating.